Imam Ali (a.s) is a key figure in the History of Islam. He was born in 598 C.E and was the cousin of the Holy Prophet, son of the Prophet’s Uncle Abu Talib. Yet the relationship between Imam Ali (a.s) and his cousin the Holy Prophet was a lot more than just that of a close cousin. Imam Ali (a.s) was one of the first supporters of the Holy Prophet and it is clear according to a consensus of historians that Imam Ali (a.s) was the first person to accept Islam and declare the Shahada after the Proclamation of Prophethood by the Prophet Muhammad (s.a.w). Imam Ali (a.s) is recognised as carrying more merits than any other companion of the Prophet and this is highlighted particularly in light of the numerous Qu’ranic verses that have been revealed in his honour. Imam Ali (a.s) was selected by God personally for his marriage to the Holy Prophet’s daughter Lady Fatimah al-Zahra (a.s) and was also selected by God to be the first Leader of Islam and the direct successor to the Holy Prophet. 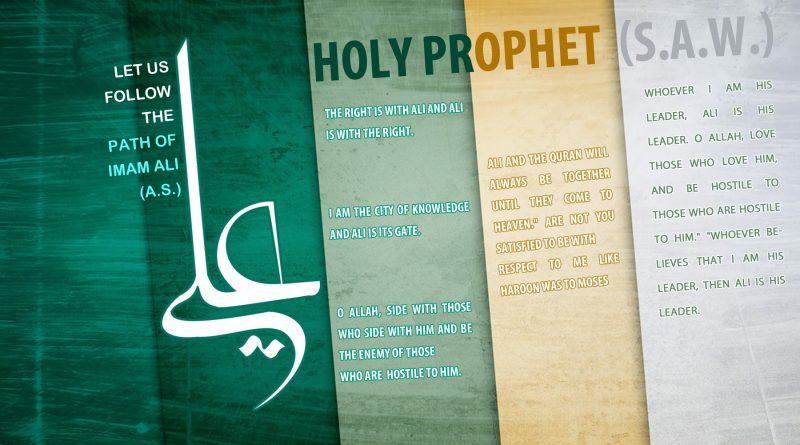 Such declarations appear throughout the lifetime of the Holy Prophet, however, the Leadership of Imam Ali (a.s) was made most obvious during the event of Ghadir Khumm in which the Holy Prophet openly proclaimed that Imam Ali (a.s) would be his successor to lead the Muslims. Sadly after the demise of the Holy Prophet in the year 11 A.H, Imam Ali (a.s) had his rights usurped, in addition to those of his wife. This resulted in him withdrawing from politics and focusing on offering religious guidance. After the death of the third Caliph Uthman b. Affan, Imam Ali (a.s) was declared as Caliph and leader of the Muslims by the people. Sadly this period was rife with conflict, including three separate civil wars namely, Jamal, Siffin and Nahrawan, instigated by his enemies. The Imam was assassinated whilst praying during the morning of the 19th of Ramadhan of the year 40 A.H by the Khariji ‘Abdul-Rahman b. Muljim.